Description: In our years of experience in turnaround safety, we have identified a frequent requirement to provide both breathing air and power tools for short-duration projects such as blinding. Depending on worksite location, the setup for these tasks can take a significant amount of time and resources, reducing productivity. 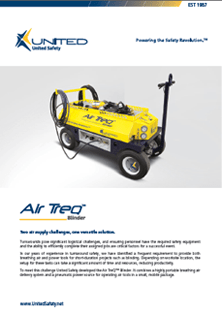 That is why United Safety developed the Air TreQ™ Blinder.